Engineers descended into bunkers to test space batteries to destruction – through overheating, overcharging, short circuits and even by shooting them with bullets. The three-year test campaign is helping assess the risk of abandoned satellites exploding in orbit due to catastrophic battery reactions. Extreme ‘abuse’ testing of the current generation of lithium-ion batteries for space took place in the test bunkers of France’s Alternative Energies and Atomic Energy Commission (CEA). The aim was to develop guidelines to ensure batteries aboard satellites stay safely inactive after the end of a space mission, helping to avoid satellite breakups, a major source of space debris. 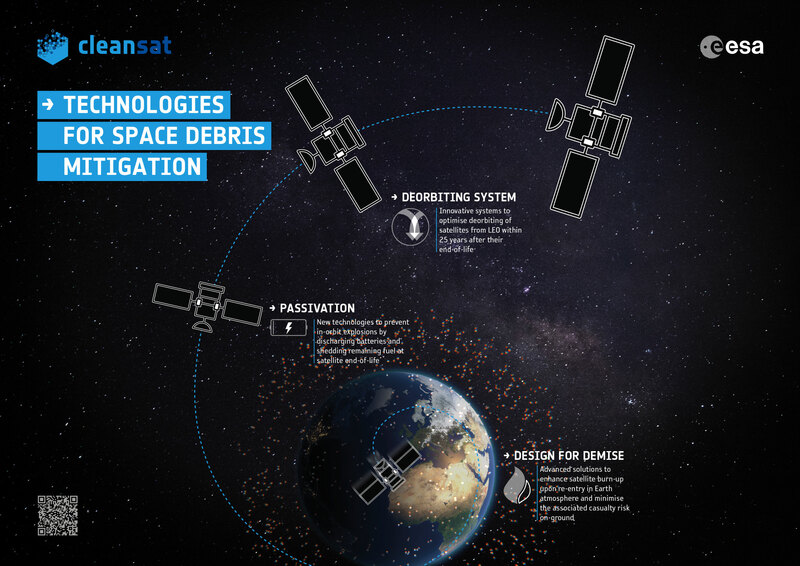 “Of more than 250 known satellite explosions that have taken place in orbit, about 10 have been due to batteries,” explains ESA power systems engineer François Bausier, overseeing the project. “All the battery explosions in the past were from older technologies that are no longer used for new ESA missions. Taking place as part of ESA’s Clean Space initiative, the testing came out of a larger focus on making satellites safe once their mission ends by powering them down fully. More than 200 abuse tests took place on different types of battery cells and modules – meaning multiple cells connected together. These cells were either brand new or had been subjected to simulated space radiation and charged and discharged many times to age them. The tests included a focus on the functioning of internal protection systems within the cells themselves in extreme conditions, such as internal circuit breakers or venting mechanisms in the event of overpressure. Methods of destruction included external and internal short circuits, failures that could arise due to insulation issues, structural failures or manufacturing defects; other tests included overcharging leading to overheating and also direct overheating tests. ‘Overdischarge’ tests were also performed in order to investigate whether such a decharging method could actually be used to safely ‘passivate’ the batteries at their end of life. Battery high temperatures – such as the ones that might be encountered when a drifting satellite languishes in orbital sunlight – were can trigger very fast reactions, sometimes too rapid for protection systems to kick in. Most testing took place in an inert atmosphere, lacking oxygen, to match the orbital environment. But this lack of oxygen does not necessarily mean that the reactions are so much less violent, as the cells themselves contain both fuel and oxidiser for combustion. The resulting satellite passivation recommendations include that batteries should be discharged as much as possible at the end of their mission, and be fully disconnected from the solar arrays to avoid any further charge or overcharge. In addition the batteries should be kept within safe temperatures. These recommendations should be ideally considered early in the mission design phase. Passivation is an important issue for all satellites, but in particular for those in highly trafficked low-Earth orbit under 2000 km altitude, where international regulations demand post-mission deorbiting within 25 years, and for these satellites to remain safely inactive in the meantime.